During elections, BJP’s focus is on those states where they have a threat of having dipped figure. 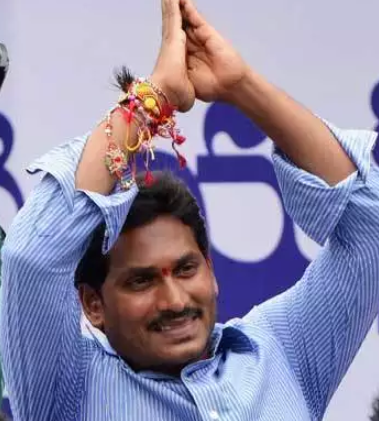 A name that tops the list of such threats exists in Andhra Pradesh, where Jagan Mohan Reddy is leading the game. However, his leadership is expected to get at least 18-20 (of 25) Lok Sabha seats. The reason behind this is Prashant Kishore. Mr. Kishore has the reputation of being the mastermind strategist behind the elections, and has extended his support to Bihar CM Nitish Kumar for JDU. According to the sources, through Mr. Kumar, Mr. Kishore has been constantly in touch with Mr. Reddy. Sources also say that if BJP isn’t able to attain 200, then Mr. Kumar may leave NDA. On the other hand, Mr. Kishore has tweeted that not him but RCP is looking after JDU’s election strategy in Bihar. Let’s see how any of this proves to be helpful for Mr. Reddy.